We are pleased to inform you that we come from Makkah & we been serving pilgrims throughout our life. This outstanding quality makes us unique when compared with others. We, AlHamdu Lillah, pride ourselves on providing quality services to pilgrims. 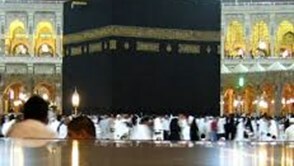 For your peace of mind, our Hajj & Umrah groups are accompanied by an experienced staff. - Excellent facilities in form of training, support, accommodation & transport. - Guidance, in form of teaching and educating pilgrims. - What to and not to do in Hajj & Umrah. - Ease the journey by accompanying the groups. I have had the good fortune to perform Umrah with Mr Arif of Al-Makkawi Travel on 2 occasions. Both trips were outstanding, both in organizational and educational terms. The company helped me throughout the journey; Mr Arif helped me in making the trips spiritually uplifting; whilst not everything goes exactly to plan, Mr Arif was able to deal with anything that we or our fellow pilgrims needed. I wholeheartedly recommend this group to everybody.